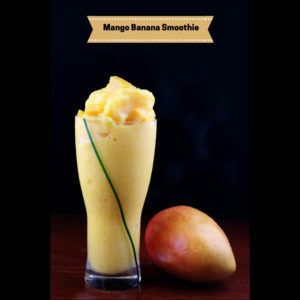 If you’re looking for a refreshing nutrition packed start to your morning or even later in the day this Mango Banana Smoothie is a favorite of mine. 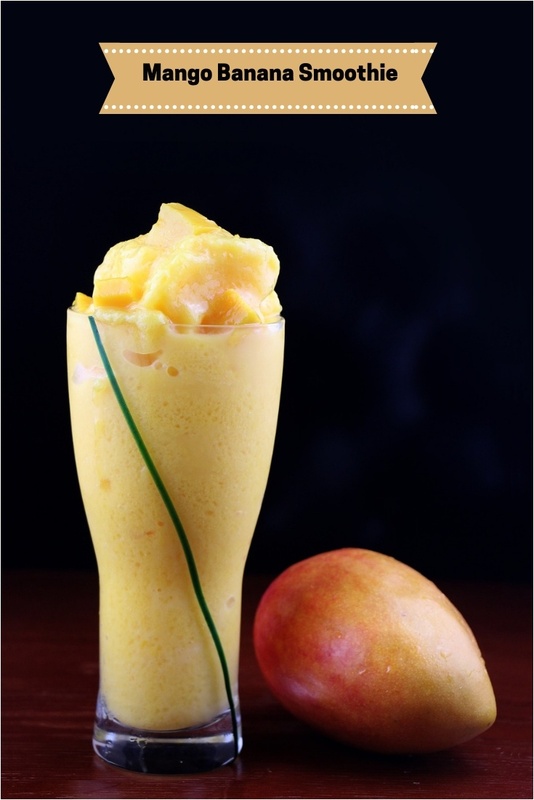 I often buy frozen mango chunks but I will use in this either fresh or frozen bananas. By using fruit no ice is needed when blending so there is no dilution of flavors. 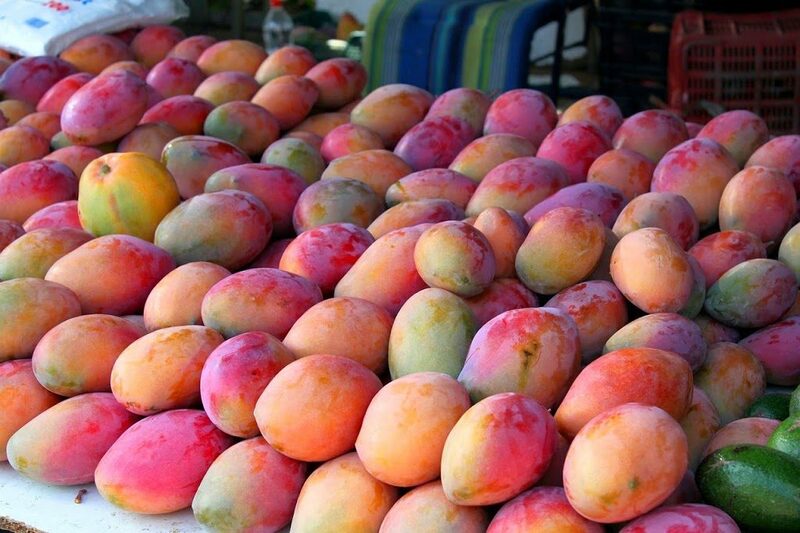 If using fresh mangos, peel and cube then arrange the mango cubes in a single layer on a baking sheet; freeze until firm (about 1 hour).